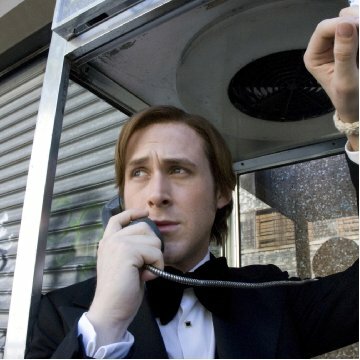 Ryan Gosling felt so bad about a scene he had to pull Kirsten Dunst's hair, he sent her flowers the day after. Revealing mistakes: When Katie is in the bathroom after searching through David's office, she lights a cigarette out of a pack of Parliament's but the cigarette she lights isn't a Parliament. Spectacular performances by Dunst and Gosling! "All Good Things" is a love story and murder mystery set against the backdrop of a New York real estate dynasty in the 1980s. Directed by Andrew Jarecki (director of the Academy Award-nominated doc Capturing the Friedmans), the film was inspired by the story of Robert Durst, scion of the wealthy Durst family. Mr. Durst was suspected but never tried for killing his wife Kathie who disappeared in 1982 and was never found. The film stars Ryan Gosling as David Marks, Kirsten Dunst as Katie McCarthy, and Frank Langella as David's father, Sanford Marks. From the beginning, the relationship between Gosling and Dunst is very intriguing and interesting; possibly the best part of the story. Their chemistry is very believable and charming. As David and Katie start their lives together, everything seems perfect. However, all good things must come to an end. David's father does not approve of Katie or of David's lifestyle. Disappointment is all he sees in his son. David seeks to please his father, even if that risks his own happiness. Katie becomes increasingly independent, hoping for more out of their happy life and marriage. David likes things as they are. Soon enough, secrets from his past slowly begin to surface, resulting in mistakes and consequences that cannot be changed. I won't mention details into David's past, but it soon becomes apparent that this happy marriage wasn't meant to be. Jarecki does a very good job of showing us a perfect marriage as it slowly crumbles and falls into nothing. It's very effective, and at times, tough to watch. 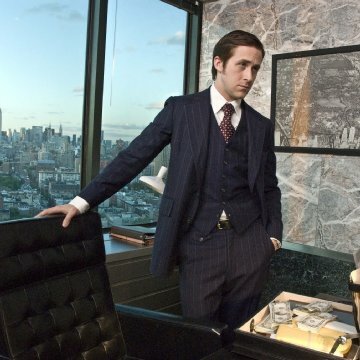 Although it is difficult to get into his character, Gosling is superb. He does the best of what can be done with a character that isn't given easy material to work with. It's quite sad to see a character who obviously needs help, but is never able to get it. Dunst gives an incredible performance. She stole the show. Her character is of a woman who loves her "prince charming" with everything that she has, but as their relationship dies, she slowly disintegrates into an abused mess. Dunst gives one of the best performances of her career. The first half of the film was good. Jarecki, however, did have issues with piecing together the second half of the film. This is when the supporting characters of the film became an important part in moving the story along. Truthfully, we did not know or care enough about some of these characters. It was difficult becomes there was no one that we could really root for. It was still interesting, but not nearly as good as the first half. Everyone gave great performances. Lily Rabe, Kristen Wiig, and Philip Baker Hall were wonderful. Not one bad performance out of the entire cast. "All Good Things" is an intriguing story that studies two people as they rise to their greatest, but unfortunately fall to their worst. The performances make this film worthwhile. The film isn't perfect, but I found it to be a very interesting portrayal of a true story that will clearly blow your mind.